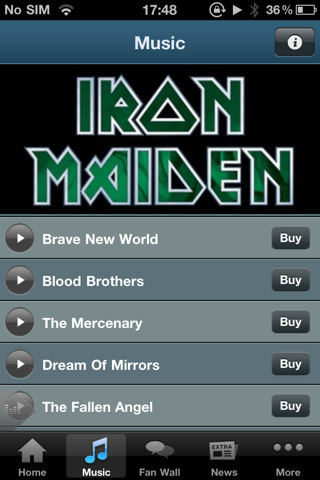 Take Iron Maiden with you wherever you go with their FREE, official iPhone/iPad App. Get the latest news, preview the latest album, listen to music and watch videos from the band's classic catalogue, book concert tickets, interact with other Maiden fans across the globe…and more. The app is available in the following languages: English, Arabic, Norwegian, Chinese, Danish, French, German, Italian, Japanese, Korean, Portuguese, Russian, Spanish, Swedish. 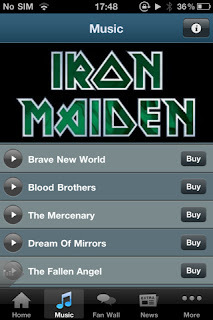 Download your FREE Maiden App from the iTunes store here.